My friend Kevin Harney got me to do something I’ve never done before. I was quite embarrassed about it, but it just happened. Kevin sent me an advanced copy of his book No is a Beautiful Word: Hope and Help for the Overcommitted and Occasionally Exhausted and asked me for an endorsement. 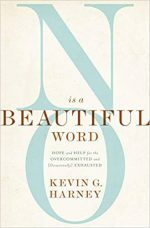 This ended up being one of those books I felt I needed, and the more I read what Kevin had written, the more that view was confirmed. Kevin is a sold-out follower of Jesus, and this book is written for those who want to make every day count for the Kingdom. That’s why I ate it up and why my endorsement became a foreword. By the time I was done, I had written a few hundred words of praise and offered them to Kevin as a foreword. I’ve been asked to write dozens of forewords. I’ve never asked to write a foreword! 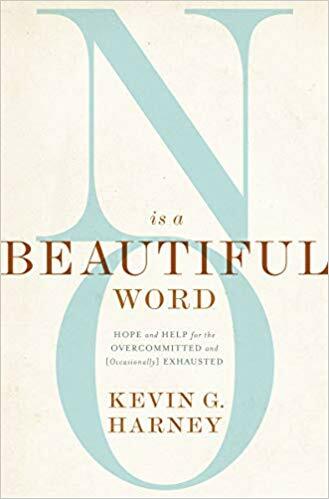 It seemed presumptuous but that’s a statement of how much I believe in this book (in case you’re wondering, Kevin and the publisher decided to use it). Well-intentioned people who want to serve God and love others generously, as Jesus did, often struggle with the serious tension between saying yes and staying focused. Add in the whole issue of family—marriage and parenting and friendship—and we can tear ourselves up if we don’t get a handle on the demands. Kevin offers helpful, practical advice. I asked Kevin if we could run a sample chapter as a blog post and he graciously said yes. So here it is. If you, like me, find it difficult to say “no,” I urge you to get the book. We live in a world where it is unfortunately rare to hear someone speaking truth with a thoughtful and gracious spirit. Many people have a hard time telling someone No and explaining why in a respectful and loving manner. Human beings are masters at self-deception and we have a difficult time facing our own frailties and mistakes. I came face to face with my own capacity for self-deception on a family vacation several years ago. At the time, our sons were still quite young, and I had brought some work along with me (already a bad sign). One night I was working and I read an insight from a leader I respect. He was talking about his work and how it demanded lots of late nights at the office. To protect his family, he had established a rule of no more than three nights a week where he would allow himself to stay late at the office. The positive side of this was a commitment to be home four or more nights a week with his family. I appreciated the clarity of his rule, especially because I was driving myself hard and knew that I was starting to over-extend. I responded with profound maturity. I was determined to prove her wrong. I got up and walked to the other room to grab my calendar. As I sat in the other room reviewing my schedule, something inside me broke. I flipped the pages, turning back one week, then two weeks, then three. I had to turn back an entire month before I found a single night when I had gone home on time and stayed at home the whole night. I had not realized how out of control my life had become. But my family had noticed. I had sworn I would never be that husband. I had told myself I would not be the dad who let his work rule his life. At that moment I faced a choice. I could continue living in the darkness of my own self-deception. Or I could step into the light, hear the truth, and say No to the absurd and destructive lifestyle I had created. By the grace of God, I chose the second option. I apologized to my wife. I apologized to my sons. I promised to say No to the flood of demands and the never-ending expectations of hundreds of well-meaning people who also wanted my time. I also apologized to the church board and the congregation the following Sunday, and confessed that my life had spun out of control. I admitted that my work was consuming me and I told them I needed to make some serious changes, say some bold Nos, set some healthy boundaries, and begin living a more balanced life. To my delight and surprise, the board members and the congregation all encouraged me to make more time for my family. I limited myself to three—and in rare situations, four—nights of work a week. I committed to taking one full day off each week, and disciplined myself to not check in with the office on my day off. It wasn’t easy! I had to say a lot of Nos. To help me make the transition out of my over-committed lifestyle, my wife asked me to write down, at the start of each week, what nights I would be staying home. Then she posted these dates on a big calendar hanging on the wall in the main entryway to our house from the garage. As they went in and out, all three of our boys would see the words boldly printed. I stuck to this schedule tenaciously. The first night I came home for a DAD HOME NIGHT my youngest son was standing on the washing machine near the entrance from the garage. He jumped on my back as I entered the house. “It’s a DAD HOME NIGHT” he declared. All three boys were at the house and we had a great evening together. For the next three weeks, every night I walked in the door on a DAD HOME NIGHT my son “surprised” me by jumping on my back as I walked in, and soon it became a ritual for us. When the fourth week came, I entered the house and was shocked when no one was there to jump on my back. I called for my son. No response. I called the other two boys. Nothing. I found my wife and asked her where the boys were. She explained that all three were off playing with friends. “Didn’t you tell the boys it was a DAD HOME NIGHT?” I asked. That was the best thing she could have told me. I am thankful my wife had the strength and integrity to speak an honest No to me. Are there deep and honest Nos you need to speak to people you love? Are you ready and willing to hear honest Nos that peel back self-deception and reveal the way things really are? When you do, deep healing can happen in your life and relationships. Great post. I definitely feel like I struggle with saying “no” a lot of times. This books seems like it will be helpful. Gary, I am honored that you wrote the foreword for my book. Thanks for saying yes! I am praying all who read it will experience the same transformation I have while living and writing it. For your readers…two thoughts. 1) The book is 68 chapters long but each one ranges from one paragraph to three pages. 2) if you are busy and like listening to books, I was able to go to a studio and record an audio version. May every yes and every no you speak lead you closer to the will and ways of our Savior! How beautiful! As a lay person whose struggled for years to say no, I so appreciate this! 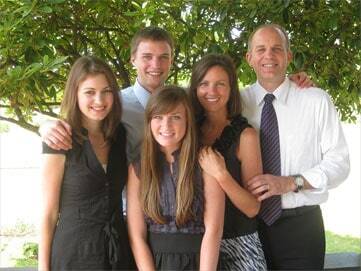 I have prayed for years over the Pastor and his family. Mind the home fires first! Wonderful post and a much needed word. I was onequick to say “YES” far too often. It’s amazing how such a small word can be so difficult to say. Our pastor used to encourage us to remember that when we say YES to something we are also saying NO to something else. Make sure you want to say NO to those things then you’ll know the YES is a good answer. That has helped me countless times to discern the right answer. Thanks for posting this Gary, and thanks for taking on this relevant and practical topic, Kevin. Certain words and phrases resonated with me, way too deeply…self deception, self destruction, over commitment, and out of control. Then the anecdote of saying Yes to boundaries, intentionality, and a tenacious commitment to what’s best and healthy for your marriage, your boys, faith family and yourself. Nos can be replaced by Yes to those things that matter most. It sounds like a challenging yet encouraging read! Looking forward to diving into this relevant book!